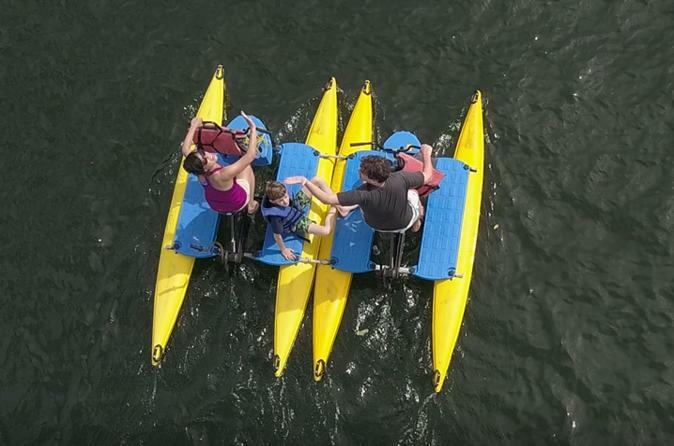 Enjoy a 1-hour water bike rental for a fun way to explore downtown Tampa with family or friends. You don't have to get wet unless you want to as you ride the water bike at your own pace with necessary equipment provided. Each bike holds two riders, with the option for a child passenger between the ages of 4 and 8 years to sit between the two riders.